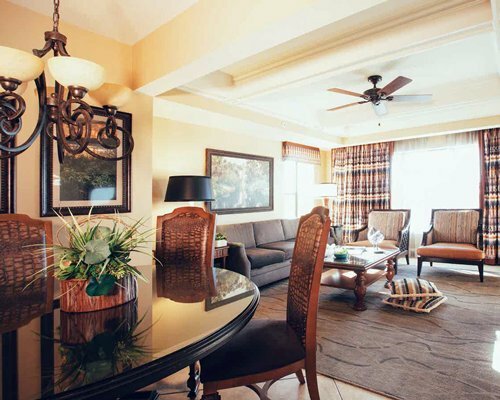 Orange Lake Resort spans 1,450 acres and is located adjacent to Disney. 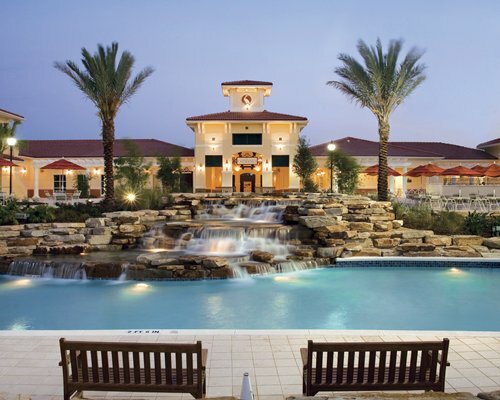 Guests have access to all four resort villages featuring seven pools, a 1,200 foot long lazy river, an 80 acre lake with beach and watersports, four golf courses, four stores, seven restaurants, two mini golf courses, three fitness centers, basketball, tennis, racquetball courts and more. River Island's tropical water park offers a 12-acre pool complex with lazy river, waterfall, waterslides, bars, eateries and retail. Enjoy cabanas, hammocks, massages, arcade, fitness center, mini golf and inflatable waterslide.